Panda Bag is a graduate student band formed in January 2016 at Virginia Tech by Han Chen. The band’s name is derived from a long-running joke surrounding the storage of our musical accessories. As you may or may not know, the World Wildlife Fund (WWF), an organization dedicated to the preservation of endangered and threatened species, uses a panda as its logo. 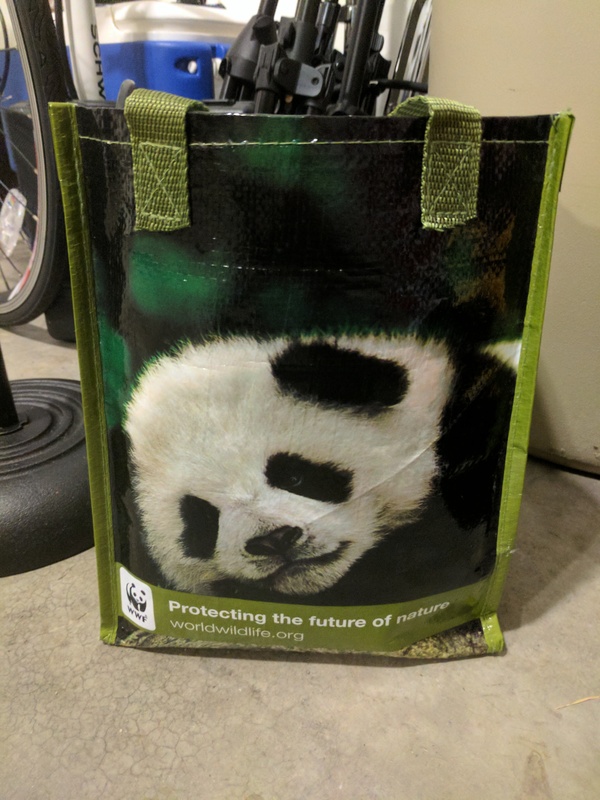 Through a certain series of events, Ethan Smith acquired a small canvas bag from the WWF with a picture of a panda on it. When the band first started practicing, the bag was used to hold cables, microphones, adapters, and other various musical equipment. Each week, someone would ask where a certain item was, to which someone would always respond, “It’s in the panda bag.” Finally, Ayaan Kazerouni suggested that “panda bag” was a decent band name. Ethan D. Smith- bass guitar and vocals. If you’re in the Blacksburg, VA area and need a band for small events, feel free to message us on our Facebook page. Also, if you’re interested in coming to jam with us during our practices, send us a message. We’re always looking to implement new sounds and instruments into our songs! Below are some recordings from our practice sessions if you’d like to hear our sounds. There are some live videos of our performances on the band’s Facebook page.